Microsoft continues on its slow, unstoppable march to turning the Xbox 360 into an all-in-one entertainment hub as rumors of some sort of Xbox TV crop up around the internet. Rumors abound of Microsoft representatives proposing talks with media companies concerning the migration of cable programming to the Xbox 360 platform. Microsoft has declined to officially comment on the rumor (of course), but the absence of Microsoft from the slew of TV-enabled services like Google TV and Apple TV seems rather suspicious. The console already features Netflix streaming of movies and a channel featuring ESPN programming, so the leap to full cable TV seems like the next logical step for the Xbox. Several plans have been proposed for how to run an Xbox TV service, including creating a brand-new "virtual cable operator" that would charge a monthly fee and be delivered via internet. Another option would be to simply run existing cable programming through the Xbox, and yet another would be to create "content silos", and offer individual channels, similar to the way they offer ESPN and Disney. 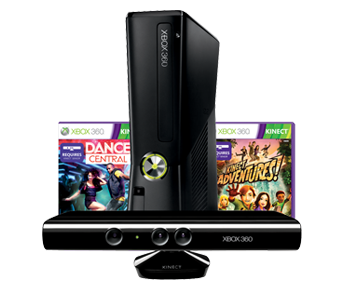 This could allow new ways to interact with television content, specifically if the Kinect was utilized to provide motion or vocal control of live TV. Sources say that we wont be seeing any of this for at least a year, so I won't be screaming obscenities at my TV in an attempt to change the channel anytime soon.